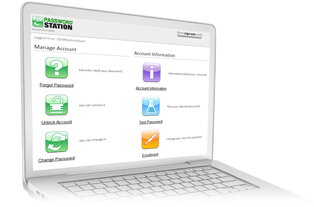 Password Station offers you the most options for self-service enterprise password management. It gives you multiple ways to reset, unlock and synchronize passwords. Password Station is the #1 enterprise password manager for corporations, government agencies and schools. Experience our enterprise password management software in a live environment. Click the Begin Simulation button. Select from 30 languages to automatically configure your environment. Follow the "Instructions for Live Demo" under the orange banner. Self-enroll and create your challenge questions. 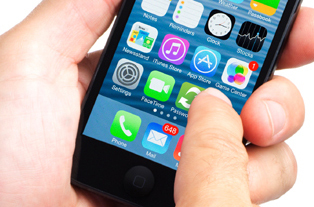 Synchronize and unlock your accounts. PIN Phone Reset Demo reset your password with a Private Identification Number (PIN). RSA Phone Reset Demo use a RSA SecurID PIN and token for two-factor authentication. Voice ID Phone Reset Demo lets you authenticate with voice and speech recognition. 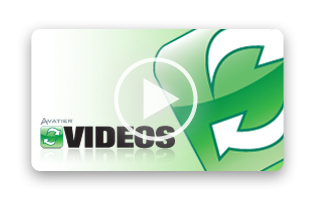 Checkout the Password Station self-service reset and password management videos. Self-Service Password Reset Enrollment: See how to self-enroll in an enterprise password management system. Enterprise Self-Service Password Reset: Watch how easy it is to reset your password with self-service password reset tools. Test Your Password Strength: Witness how automated password policy enforcement ensures enterprise security. Enterprise Password Reset Phone PIN: See how business users reset and manage passwords with a phone PIN solution.